Press Pass Legends returns this May featuring a cardboard cast of legends past, present and future. Emmitt Smith, Michael Irvin, Bo Jackson, Hines Ward, A.J. 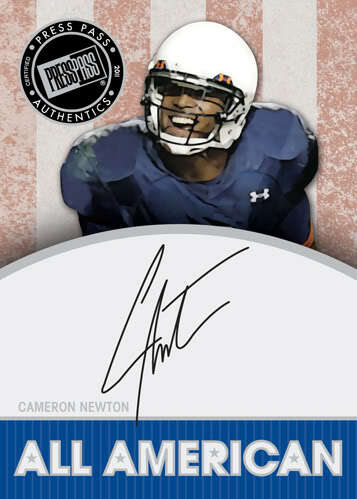 Green, Cam Newton, Blaine Gabbert, Mark Ingram and Julio Jones are a few of the big name signers that grace Legends' autograph checklist. 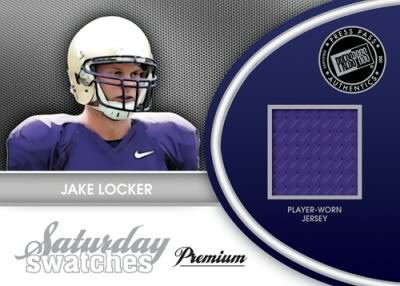 Each 18-pack hobby box is expected to carry a price tag of around $120-$140 and deliver a total of 6 hits. 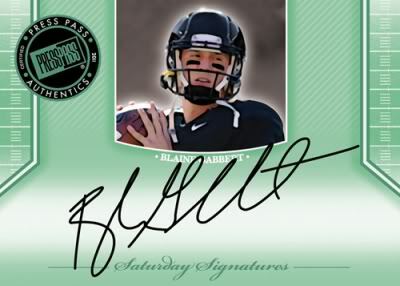 At least 2 Legendary autographs per box! 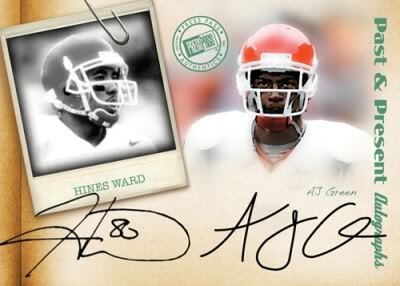 "Past & Present Autographs" - Dual autographs featuring the signature of a past legend with an upcoming 2011 NFL rookie (Hines Ward/A.J. Green). 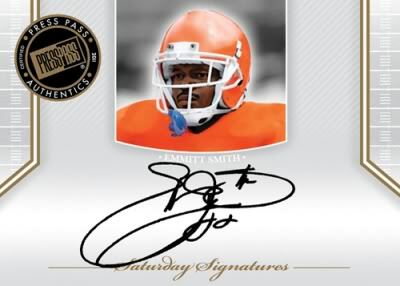 "Legends of the Fall" autographs featuring past college football greats. 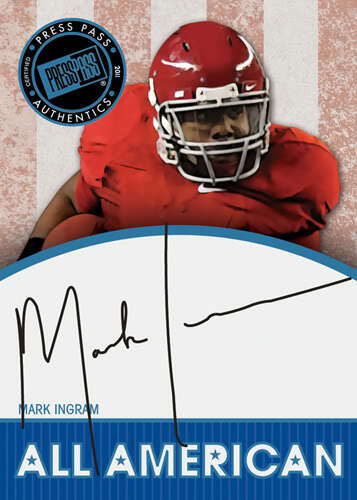 "All American" autographs featuring big names like Cam Newton and Mark Ingram. 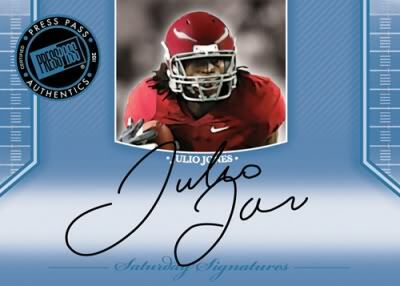 JIM OTTO 2011 PRESS PASS LEGENDS EMERALD RED INK AUTOGRAPH AUTO 99 "HOF 1980"
2011 Press Pass Legends MIJJR Auto Red 9.5 BGS Julio Jones Michael Irvin POP 1! !